Travel with me to delicious romance, intriguing food and extraordinary art. 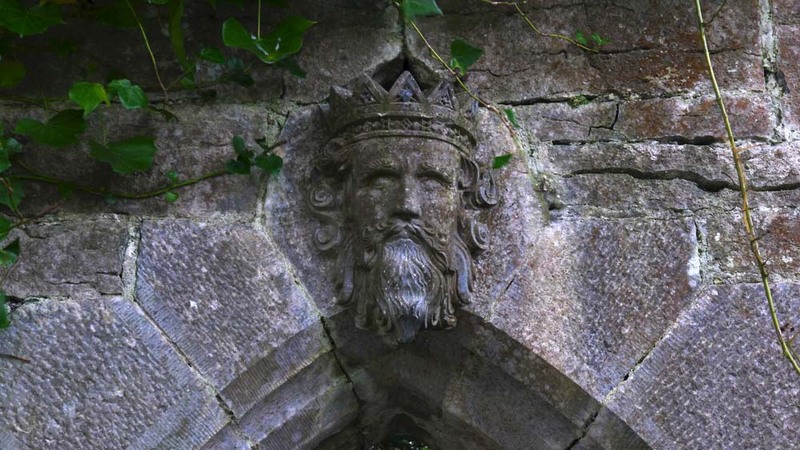 The West Country of Ireland inspired the poet W.B. Yeats, the playwright J.M. Singe, the filmmakers John Ford, Robert Flaherty, John Sayles and us! 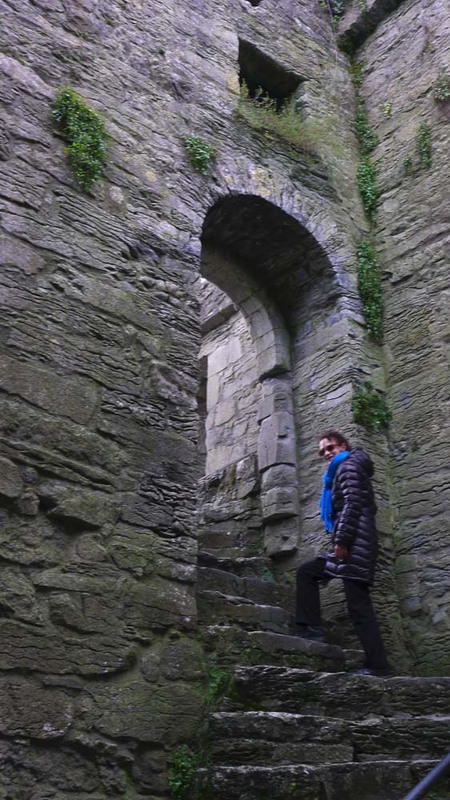 The rugged natural beauty of windswept islands and cliffs, the castle ruins, and the ancient Gaelic culture make this part of Ireland seem worlds away from the international flavor of Dublin and the latest IPhone. The West had us dreaming of a little coastal Irish cottage – one that comes with driving lessons on the left. 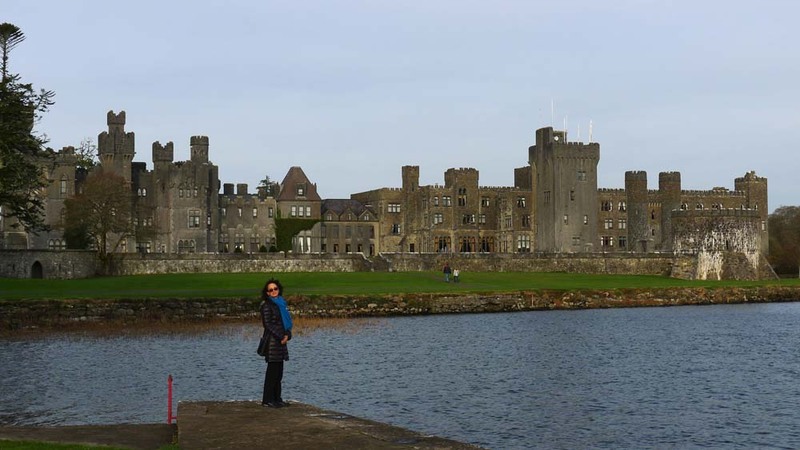 But if you only have a week-end out of Dublin like we did, a visit to Ashford Castle Hotel, Cong, County Mayo, is a grand introduction. 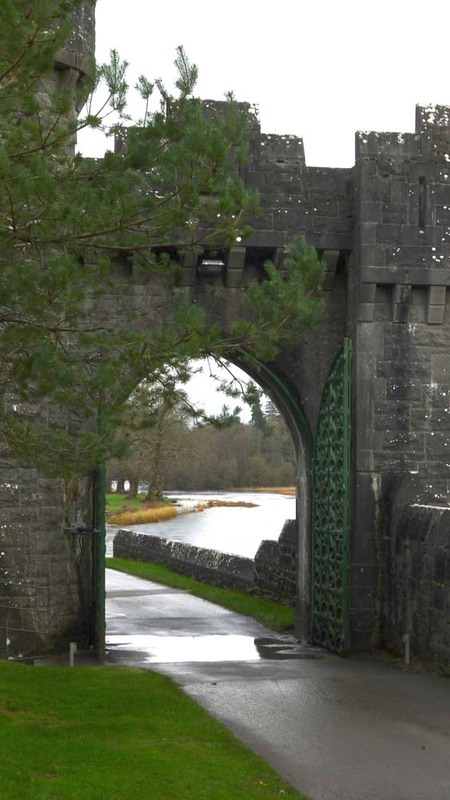 It’s a 2 1/2 hour train ride to Galway, then a 45 minute drive north to the fairytale setting on Lough (lake) Corrib and the Cong River facing the Connemara Mountains. 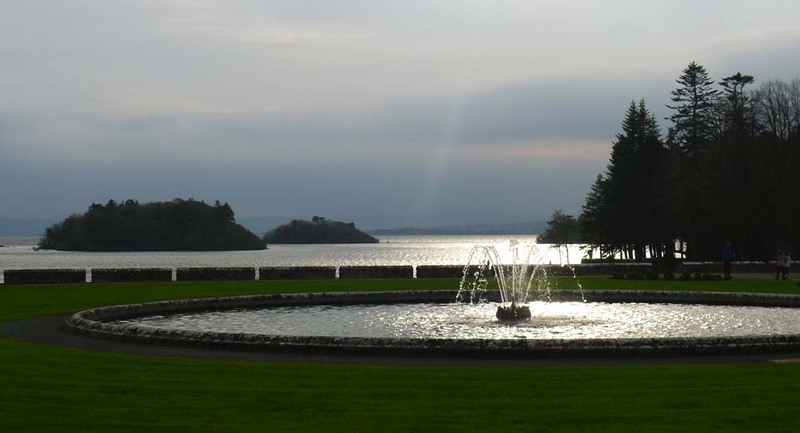 The lake is home to brown trout, pike, perch, salmon who visit from Newfoundland and eel who visit from the Saragossa Sea. No point in fishing in the Cong River until the Mayfly are out. The record heaviest brown trout weighed in at 21.6 lbs. in 2003. Amazing how fat you can get just eating flies. 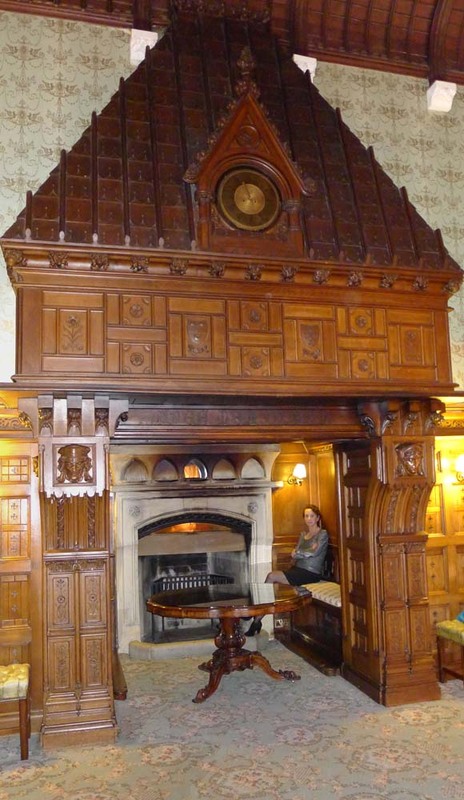 Much of the interior originates from the 80 odd years the Guinness family kept the castle (including the plumbing!). 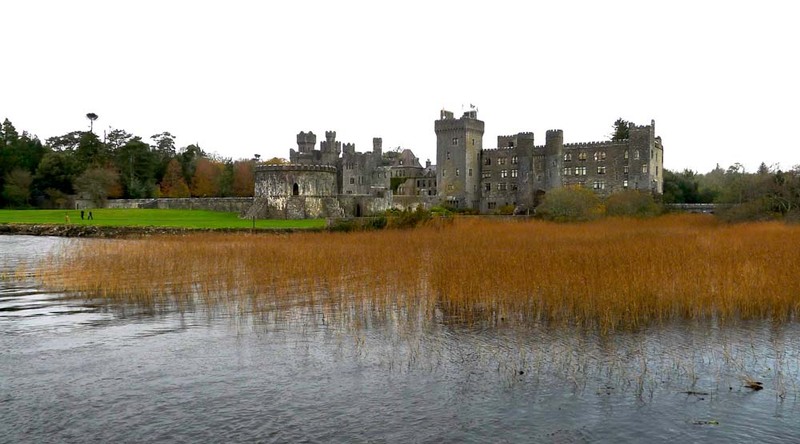 The earliest castle belonged to King O’Connor of Connaught. He was defeated by an Anglo-Norman who became the new owner in 1228. Landlords came and went until 1852, when Sir Benjamin Lee Guinness of the brewing family bought the property. 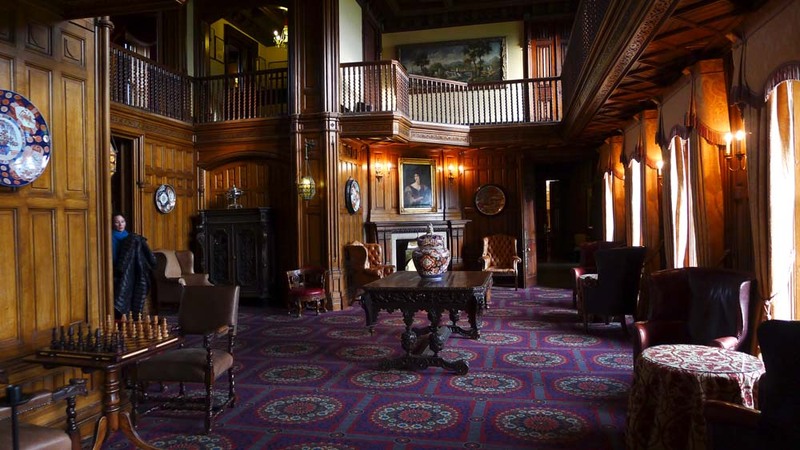 Between 1875 and 1915, one million pounds went into renovating the house, and planting the lasting legacy of thousands of trees to encourage wildlife. 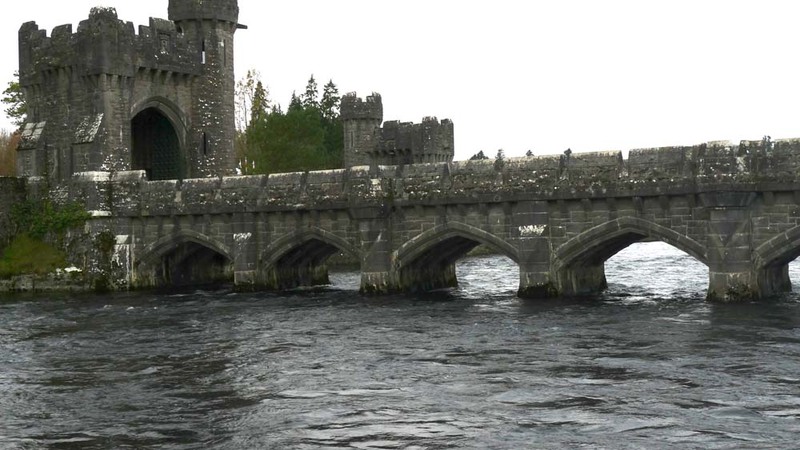 Today, Ashford Castle is owned by an entrepreneur from Galway who doesn’t know I’m not a sportswoman. 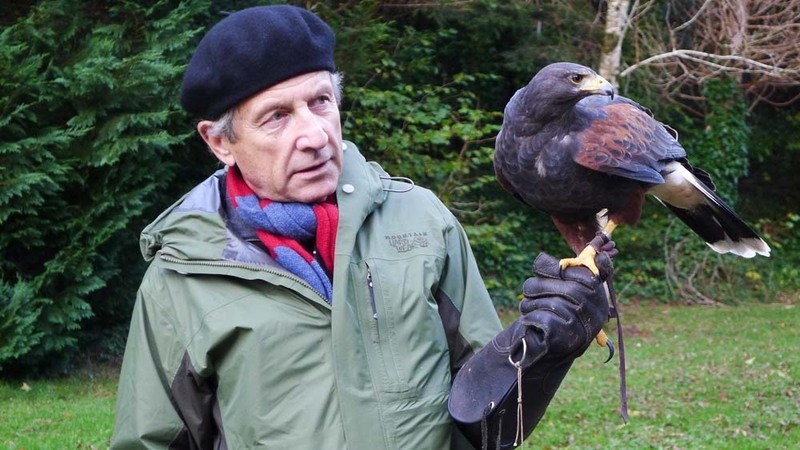 The hotel offers golf, tennis, equestrian, shooting (clay pigeons, thank God), archery, hiking, fly fishing, boating and falconry. 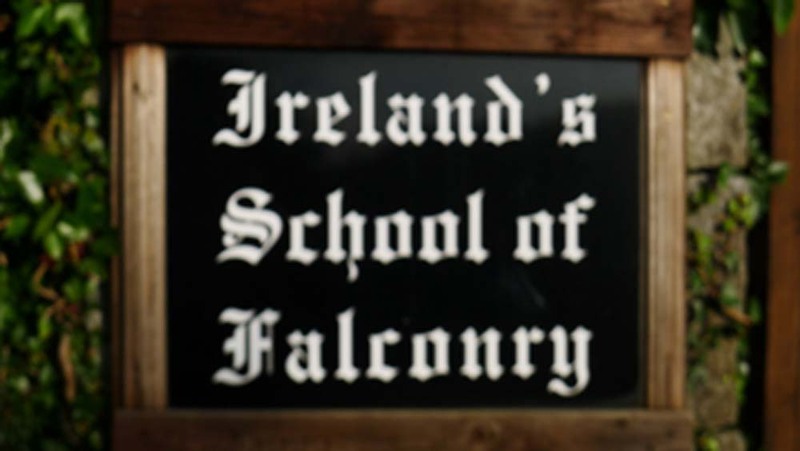 FALCONRY! My husband, Waldemar, is such an avid bird watcher we can barely finish a walk without him stopping a dozen times to observe the local bird life (even if it’s only an ordinary crow). Millie, not a falcon, but the next best thing, a hawk. 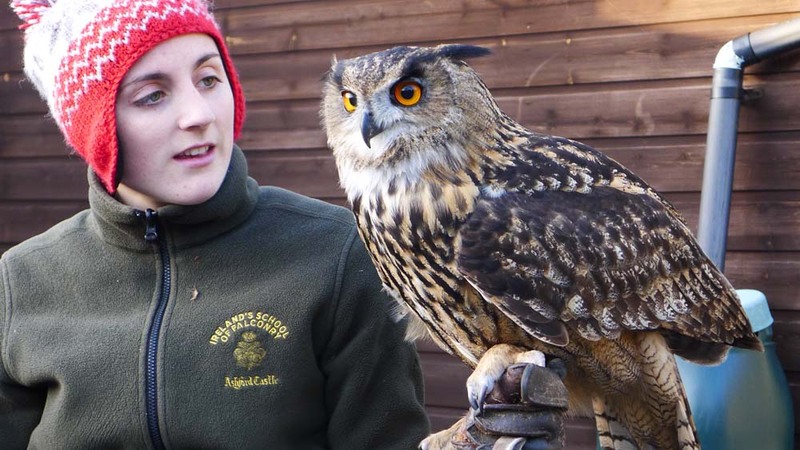 DINGLE is a rescue Owl. He’s a brilliantly swift, silent hunter. They might look cute, but these ferrets are ferocious rabbit hunters. If you like bunnies, trust me, you don’t like ferrets. 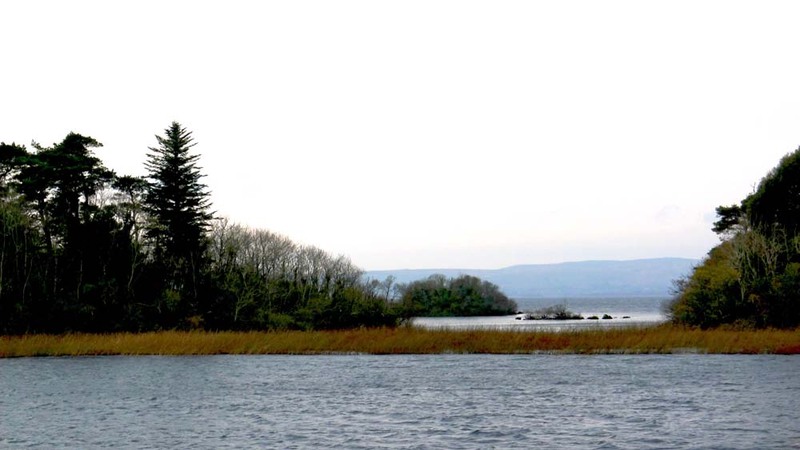 You can take an hour cruise around Lake Corrib’s 377 islands (tour guides tell everybody there are only 365 islands because it sounds better). Our Captain, David Luskin, regaled us with legends from Inchagoill Island. It’s name means “Island of the Foreigner”. The foreigners were St. Patrick, his sister and his nephew. They were all banished to this isolated place by the Druids, who were not interested in hearing a story about someone from Nazareth. By the way, Professor Daly tells me the legend of St. Patrick ridding Ireland of snakes is a metaphor for St. Pat driving out all Druid beliefs. The real, cold-blooded snakes in Ireland died out during the Ice Age and their relatives have not had the strength to swim across from Scotland. Bridge across the Cong River leading to the village of Cong. 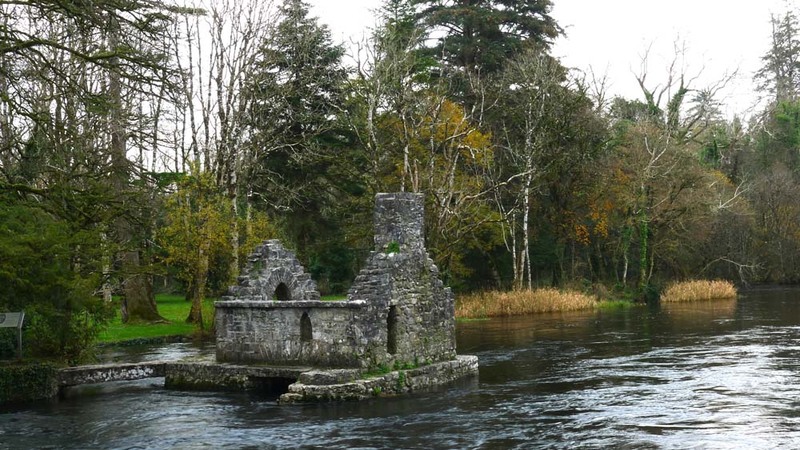 15th or 16th C. Monk’s fishing cottage on the River Cong. 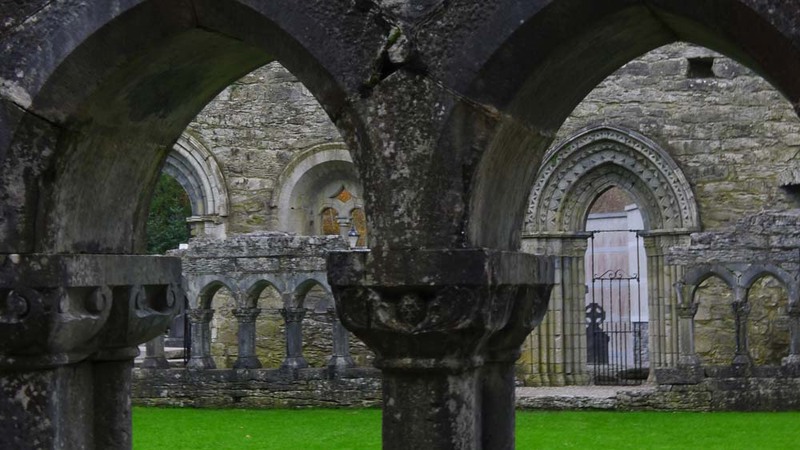 Cong Abbey, first built in 1128 by Turlough O’Connor, king of Ireland, with cloisters partly rebuilt in 1860. SIMPLY CANNOT BELIEVE IT! 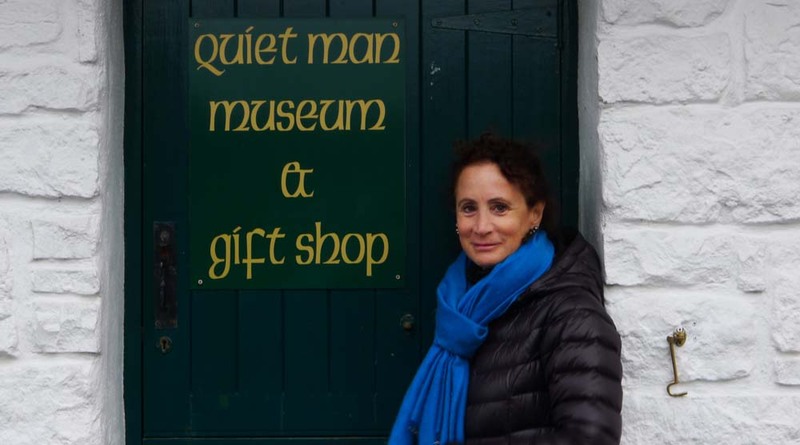 We stumbled onto this sign for Waldemar’s favorite movie “The Quiet Man” (if you don’t count “Shane”,”Stagecoach”, “The Third Man”, “Ran”, “The Fast Runner”, and that other famous Irish film, “Kisses”). 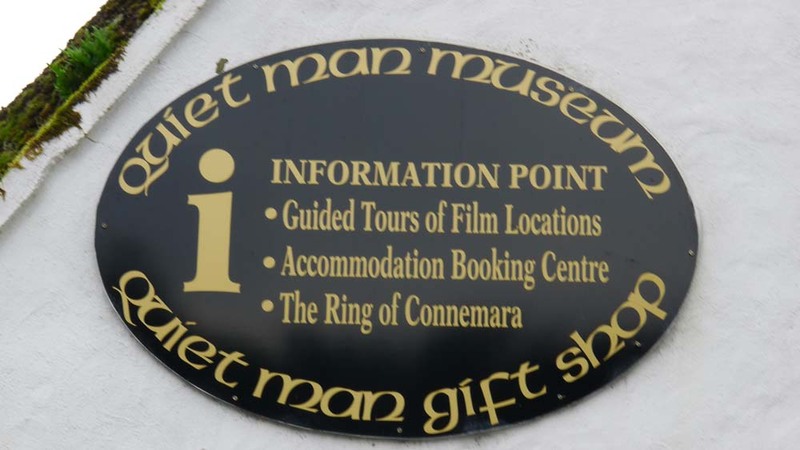 Director John Ford’s “The Quiet Man” starring John Wayne and Maureen O’Hara was filmed here in Cong village,1951. Just missed Cong’s 60th anniversary party for the making of “The Quiet Man”. The festivities featured 91 year old, red-headed Maureen O’Hara! It was a great movie, filled with charm and comedy, and unfortunately, reinforcing every foolish stereotype Americans have of the Irish!